"How are you getting home tonight?" “Blackout Wednesday” Let the DUI Season Begin. 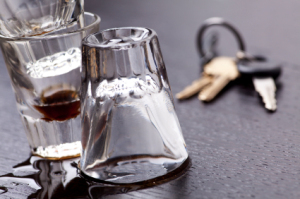 DETROIT (WWJ) – Here’s one holiday tradition we could all do without: Drunk driving. Data from a number of organizations shows that binge drinking and drunk driving increase astronomically during the holidays, beginning with Thanksgiving Eve – which is now termed “Blackout Wednesday” in many cities. The data, released by Alcohol Monitoring Systems as part of their annual public awareness campaign, paints a picture of high-risk drinking and increased rates of DUI injuries and deaths during the 36-day holiday season. According to the Centers for Disease Control and Prevention, 728 people will be injured or killed each day between Thanksgiving and New Year’s Day in drunk driving accidents, a rate two to three times higher than the rest of the year. The latest trend for the season is a substantial rise in binge drinking and DUIs on Thanksgiving Eve, or Blackout Wednesday. That day has become particularly high-risk for young people, and in some urban areas, bars report that they now see more business on that day than on St. Patrick’s Day or New Year’s. The CDC defines binge drinking for women as four or more drinks in a sitting; For men it’s five or more. Even already-convicted drunk drivers who are sentenced to 24/7 alcohol monitoring can’t seem to shake the temptations of the season. According to AMS, drinking violations for the more than 17,000 offenders they monitor daily skyrocket an average of 32 percent during the holiday period. On New Year’s, violations increase 112 percent compared to the rest of the year, according to Iiams. AMS encourages everyone to make a plan for getting home safely before you leave, rather than deciding how to get home after you’ve been drinking. This entry was posted in Uncategorized by regalt. Bookmark the permalink. Yummy, skittles vodka party favors! 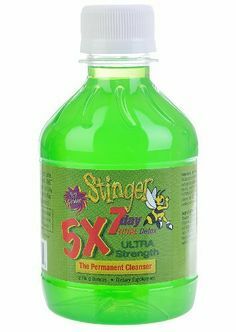 Stinger 5x 7day Total Detox Ultra Strength - 8 fl oz by Stinger. $37.50. Toxins Accumulate in hair, fat cells, blood and urine. Stinger 7day Ultra Strength gets you clean fast. Ultra Strength will work with any toxin level and any body size. No need to double up. Stinger will help flush toxins naturally.